Called To Walls film documents positive impact of community murals. 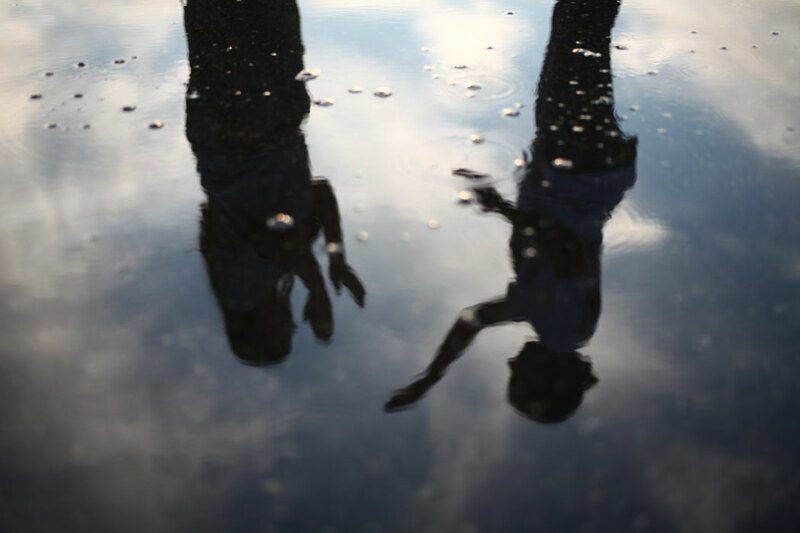 This simple premise led artists Nicholas Ward and Amber Hansen down a six-year path through four states that ended in the creation of their film, Called To Walls. Shown in February at Liberty Hall in Lawrence, Kan., and in April at Kansas City FilmFest, Called To Walls is a feature-length film that could be described as one part road trip movie and one part art documentary. It all began back in 2010. 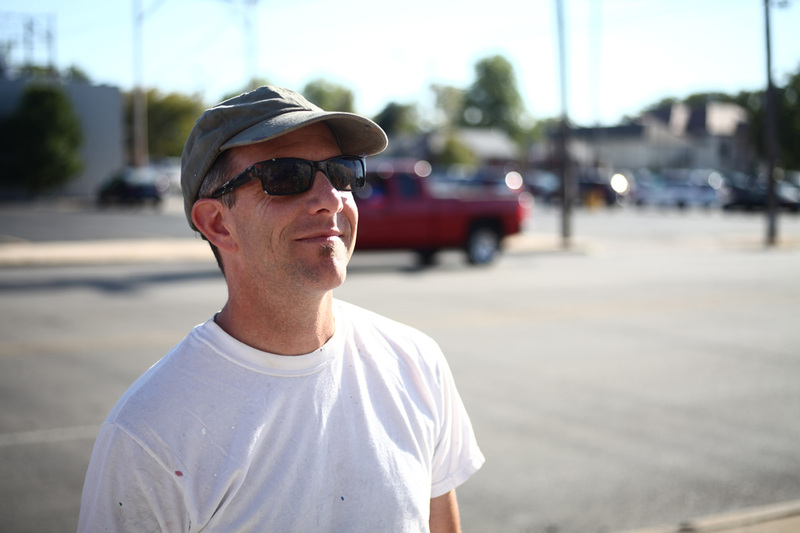 Lawrence-based artist Dave Loewenstein saw a series of murals Ward and Hansen completed in Junction City, Kan., and was impressed. So, he invited them to assist on a project he was doing with the Mid-America Arts Alliance. 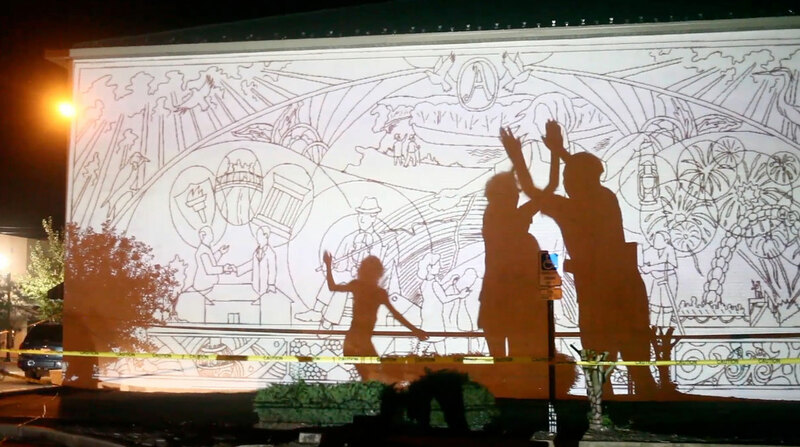 Loewenstein and his team of artists would head into small towns across the Midwest to work with the residents over the course of three months to create a community mural. Ward and Hansen didn’t begin the mural project with any intention of making a movie. In fact, their filmmaking experience mostly included film shorts less than 20 minutes long made while earning their Bachelor of Fine Arts degrees at the University of South Dakota and Master of Fine Arts degrees from the University of Kansas. But their first taste of community engagement in Tonkawa, Okla. changed everything. Ward described being overcome with a sense of disbelief at the way the mural was bringing the town together. It was a story about the power of art that they wanted to share. 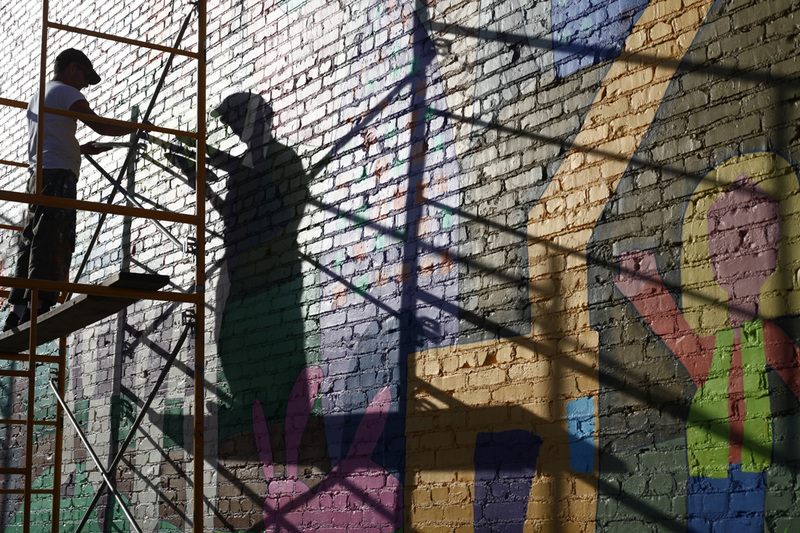 Ward and Hansen ended up working and filming in four of the six towns the mural project visited including Tonkawa, Joplin, Mo., Newton, Kan., and Arkadelphia, Ark. 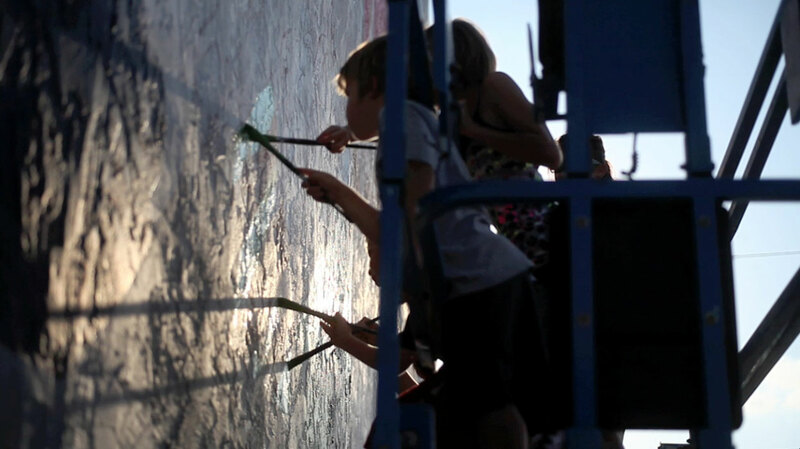 The film follows Loewenstein and his teams as they help each town determine what story they want their mural to tell. The lens captures community members engaging in the creation of the artwork, learning to work together and, in some cases, discovering how to understand each other better. In Tonkawa, townspeople worked through how to incorporate the American Indian heritage of the tribe for which the town was named into the mural. The Joplin project began right after the devastating tornado, leaving the town searching for a way to artistically recognize the event without overemphasizing it. Newton residents strove to celebrate the impacts the railroad, farming and immigration had on their town. Arkadelphia, a town steeped in Confederate history, had its own set of challenges that arose when the mural ended up at the center of controversy after some people took exception to the main figure being depicted as an African-American woman. In the end, Ward said, all conflicts were sorted out and murals completed thanks to the processes Loewenstein and his teams put in place to encourage discourse. Hansen noted that what gives these projects so much impact is that in each community the participants were drawing to communicate with one another. Loewenstein, who is now headed to Brazil to complete another set of community murals, said he is drawn to murals because they are accessible and uniting in many ways. 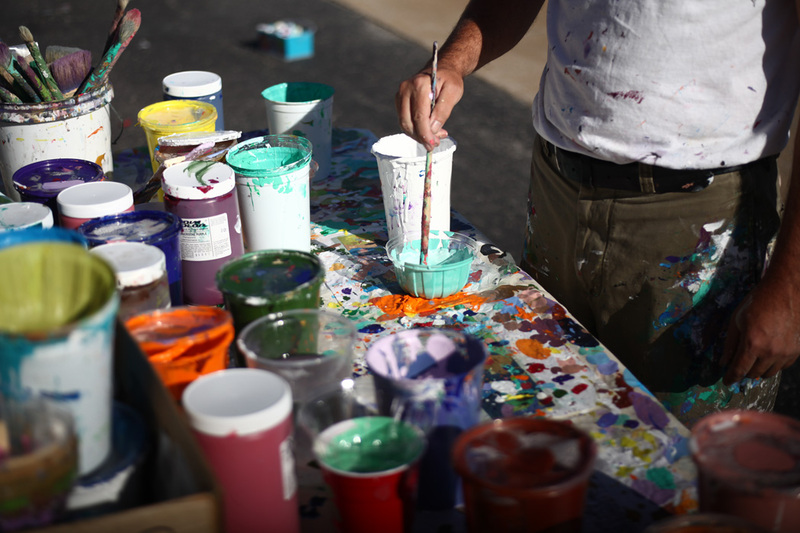 “Painting changes things — it’s a powerful and effective way to work together,” he said. Arlene Goldbard, New Mexico-based author and national cultural activist featured in the film, describes art that asks townspeople to think about who they are collectively as a sacred duty. She says murals are a way to create a story that contains all of our stories. Goldbard’s words are echoed throughout the film as a sort of mantra for community art. Ward said the stories in the film are intended to show the potential for communication, collaboration and reconciliation that community-based art provides. Ward and Hansen are pushing ahead with their efforts to share art with their community. The recently engaged couple is busy traveling for screenings and panel discussions for Called To Walls. In addition, Hansen is playing with her band Ovaries-eez in Lawrence and having solo-exhibitions of her most recent body of large-scale drawings “Feeding The World,” which are a contemplation on how culture and tradition influence different methods of growing and eating food. Ward is continuing to work on video projects through his Live TV Live video shows, for which he and collaborator Robert Baker received a Rocket Grant. (The Rocket Grants program is funded by the Andy Warhol Foundation for the Visual Arts and administered by the Charlotte Street Foundation in Kansas City and the Spencer Museum of Art at KU.) Ward is also working on videos with the U.S. Department of Arts and Culture, an action group of artists focused on social justice. Upcoming showings of Called To Walls include the Middle of the Map festival, May 4-7. For additional screening dates and more information, you can follow the film on Facebook, Instagram or via the website, www.CalledtoWalls.com. Previous Post Join Us May 5th for ArtPop, KCAI’s Premiere Fundraiser for 2016!